Firstly, Legalists see the overwhelming majority of human beings as selfish in nature. They hold the view that human nature is evil, in which individuals are driven by selfishness. Therefore, people are not expected to always behave morally. For instance, due to the corrupt nature of humans, Legalists did not trust that officials would carry out their duties in a fair and impartial manner. As social life is characterized by conflict among contending human actors and interests, there is a perpetual political struggle in which individuals are easily tempted due to their selfish interests at the expense of others. However, Legalists do not consider whether human goodness or badness is inborn as well as whether human beings possess the fundamental qualities associated with that nature. Secondly, selfishness in human nature can not be eliminated or altered by education or self-cultivation. Legalists dismiss the possibility that people can overcome their selfishness and consider the possibility that people can be driven by moral commitment for others to be exceptionally rare. They do not consider the individual morality of both the rulers or the ruled to be an important concern in a political system. 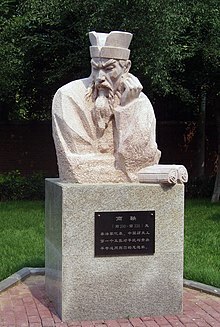 Instead, Legalist thinkers such as Han Fei emphasize clear and impersonal norms and standards (such as laws, regulations, and rules) as the basis to maintain order. Thirdly, human selfishness can become an asset rather than a threat to a state. Herein, individuals must be allowed to pursue their selfish interests in a manner that benefits rather than contradicts the needs of a state. Therefore, a political system that presupposes this human selfishness is the only viable system, wherein its actors (such as ministers and other officials) must be controlled and checked. They view the usage of reward and punishment as effective political controls, because they consider that such aspects underlie human nature. According to the Legalist statesman Shang Yang, it is crucial to investigate the disposition of people in terms of rewards and penalties when a law is established. He further explains that a populace can not be driven to pursuits of agriculture or warfare if people consider these to be bitter or dangerous on the basis of calculations about their possible benefits, but people can be directed toward these pursuits through the application of positive and negative incentives. ^ Duiker, William J.; Spielvogel, Jackson J. "China in Antiquity". World History, Volume I: To 1800 (6th ed.). Wadsworth Cengage. p. 79. ISBN 978-0-495-56902-2.